Cameo using a cut from my Silhouette Studio. and let me know what you think of my card! I just love this card. Great embossing and the cord/rope goes perfectly. This card is so darling! I love how you put the rope on the card and around the sentiment! LOVE this card! AMAZING! Thanks for sharing! Is this a set that you purchased or did you design it? Very cool.. would love to know more :) I am a follower and would love it if you checked out my blog and did the same if you aren't already at ACreativeJourneywithMelissa. blogspot dot com. Have a great weekend! LOVE! 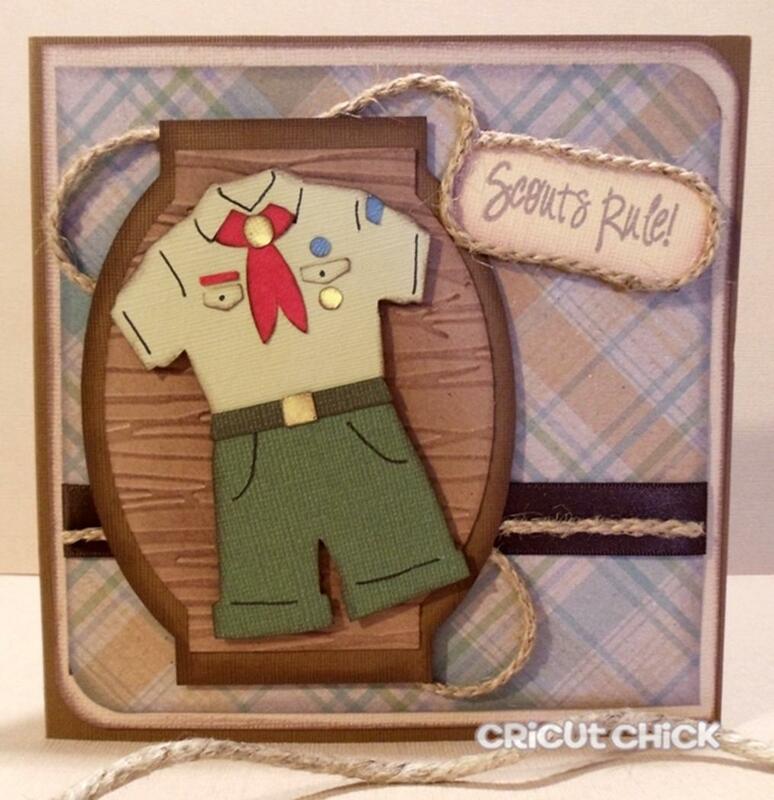 My son JUST bridged to Boy Scouts from Cub. He got his Arrow of Light too! 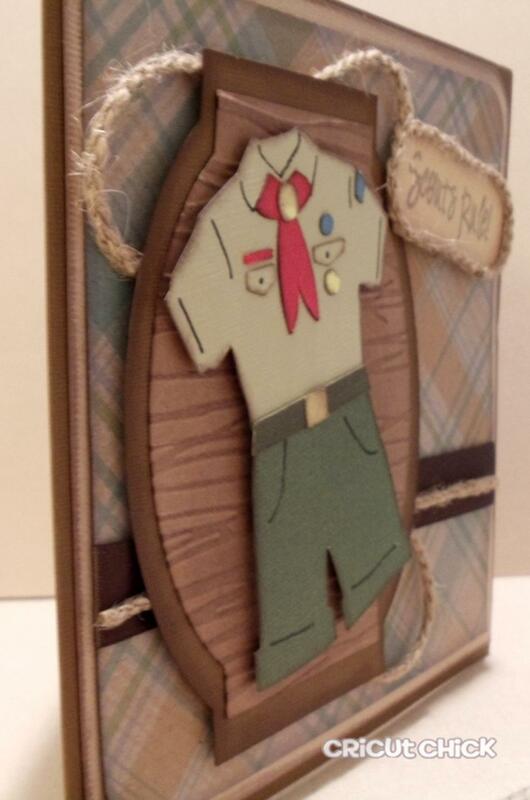 I'd love to make something like this to send as a "Thanks" card to his former pack and Scoutmaster. Where did you find the cute uniform? 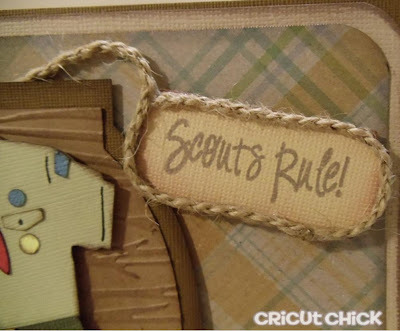 Is it a print and cut, or did you use separate papers? It really is adorable. TFS! What a great card. Love the uniform. Love all the details on the uniform and of course the stamp from Joy's Life, found you from her design team. Congrats on that! This card is so detailed! love it! 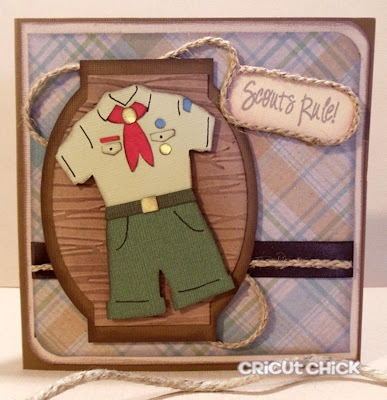 I was saddened to see it was with a cameo and not cricut :( but still, I LOVE THE CARD! Julie, this is just darling! I love the rope detail. Love from the 10-layer dip Lady!! I really like this card. I love the overall design. I love this card. I like the rope detail too. Would you consider selling a set of these cards?